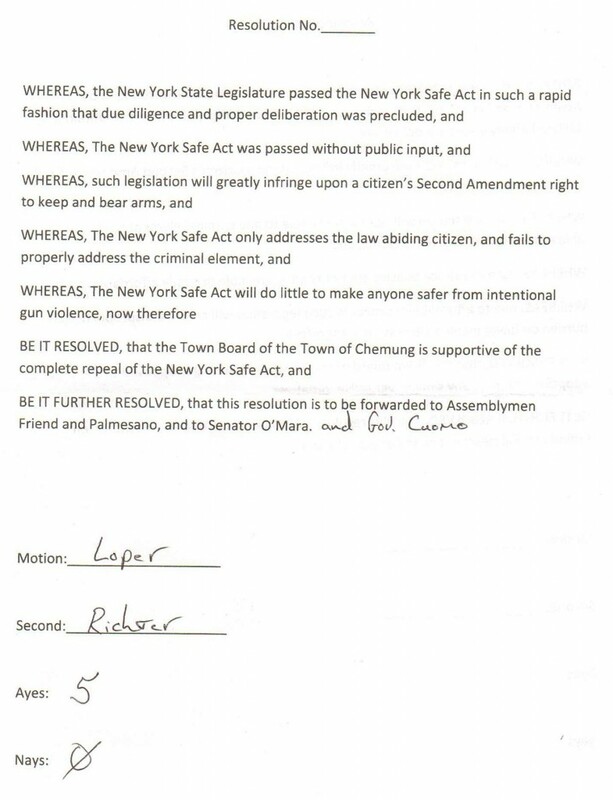 Passed unanimously April 10th, 2013. This entry was posted in Resolutions, Resolutions opposing and tagged Passed, TownOfChemung. Bookmark the permalink.